Having two lead writers here on Car Buying is great because we have very different perspectives. Tavarish plays the inexpensive pre-owned market like a pro and thinks financing is for fools. Since my focus is mainly buying cars from dealerships, I say it is a bit more complicated than just dollars and cents. Here are few reasons why it makes perfect sense to finance a car. If you are buying a Ferrari 250 GTO, that is an investment. If you are buying a pretty much any other new vehicle, it is a depreciating asset. The vast majority of the time it will be worth much less when you sell it than the day you bought it. If you are comfortable with the fact that a vehicle is an expense, just like your rent/mortgage, cell-phone, cable and utilities and you have budgeted for this expense, who am I to tell you what you should or should not do with your money. While we are on the topic of depreciating assets I want to address the concept of "ownership." From a technical standpoint you are still the "owner" of the car even though a bank may be the "lienholder." As owner you are entitled to use and alter the vehicle as you see fit. The lienholder has no power to mandate what you can and cannot do with said vehicle. "All the lienholder has is a legal right to get paid before the collateral (the car) changes OWNERS. AND, in many states (like MICH) the lienholder cannot turn around and simply resell the car after a repo. They must sell it at an auction in an arm's length transaction (and in a "commercially reasonable" fashion). Yes, you will get hammered financially when this happens but they do not just bring the car back to their lot and resell it as they would any other used vehicle on their lot. In states like MICH THAT WOULD BE ILLEGAL. And, if the auction realized a surplus (i.e., you owed less on the car than what it realized at auction) you would be entitled to that surplus. Again, that does not happen often but it is a theoretical possibility." There is an ongoing assumption that, "people should only buy what they need." This mindset is great for sustainability, but it's just not how we humans want to live. No one really needs a house that is more than a few beds and a cooking area. No one really needs a television or a smartphone or most durable goods that are manufactured for a lifestyle. Vehicles are just like any other product, some people just want to spend the least amount of money so they can the cheapest ride possible. Other people want drive things that make them happy, whether it's a Focus ST or a Ferrari. Most car buyers want features or a driving experience that can only be had in newer vehicles. An E30 M3 may be one of the greatest "driver's cars" of all time, but there is something to be said for modern amenities, comfortable seating for four, in addition to the 425hp that the current generation offers. Since we have established that cars will not suddenly detonate at 100,000 miles, it is certainly possible to acquire a good used car for about $5,000. Most of the time used cars offer a far better value than new, but it does depend on the price range. 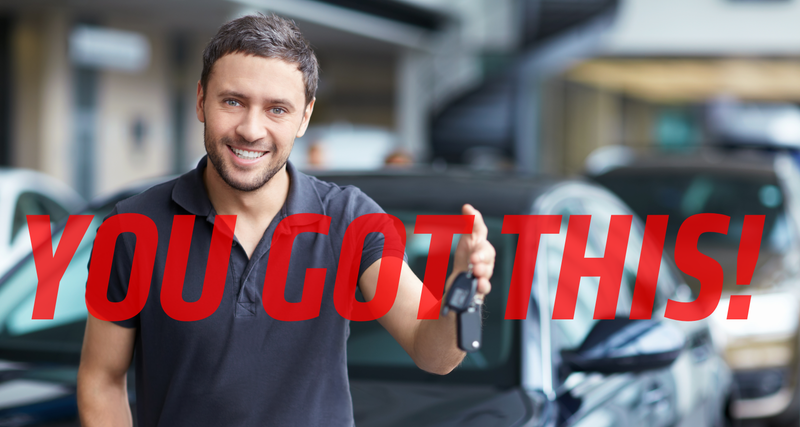 Of course all used cars have some level of risk when it comes to out-of-pocket repairs. While the overall cost of fixing a used car is still cheaper that purchasing new, there is also the inconvenience of not having your car while it's being repaired. If you have access to great public transport or friends that are willing to give you rides, this is no big deal. But many people are dependent upon their vehicles to be usable everyday. So they are willing to pay the price and make payments a new or lightly used car that they can count on. Of course new vehicles aren't perfect and sometimes need fixing, and this is where Tavarish and I agree. Consumers should do their research on what vehicles have a solid track-record for reliability and plan accordingly. Even the most hard-core cheap car owners will admit that sometimes they can be more trouble then they are worth. I've heard this one many times: "If you don't have the cash, then you shouldn't buy it." Not only is this unnecessarily judgmental, it is also incredibly unhelpful. This is almost the same as telling someone who is hungry that they should have been farming. If a person is in need of a vehicle and simply doesn't have the cash, telling them to wait until they have saved enough money to get their desired car doesn't solve their need for a vehicle now. But if that person has a steady income and has decided they can afford a certain monthly payment because they realize that a car is simply another expense, I fail to see how this is financially unsound. Implied in the "cash only" model is that all debt is inherently bad. I have a credit card, I use that card for pretty much all of my purchases, food, gas, clothing etc.. At the end of the month I pay the statement off in full. The credit card company gets exactly zero money from me in the way of interest and fees, yet over the course of the year I accumulate points that I can use for things I want to do, like a vacation. Do I have to go on vacation? No, but I like to enjoy life and traveling makes me happy. Have we really reached a point where we are telling people not to spend money to be happy? Some people choose stash away every extra penny they have. That is fine, but it is also possible to save money, invest money, and pay your expenses. It all comes down to your priorities and an understanding of income and budget. There is a reason why I make payments on a Mazda3 instead of an M3. I could "afford" the payments on that BMW, but I choose not to blow all of my earnings on a car note. I have investments for retirement, college savings, an emergency fund in addition to short term savings for house projects and vacation. No matter what your income is, having some debt is not a bad thing as long as it is managed properly. Furthermore, buyers who purchase new or nearly new cars rarely pay cash, either because they simply don't have that much money to spare or they would rather hold on to that savings for other reasons. In all my years helping people buy cars, I have had only one person who wanted to pay cash for a large purchase. When he found out that his interest rate was only 2.9% on the $38,000 Mercedes, he decided to keep the money in the bank for his construction projects. At the end of the day it all comes down to perspective. If you want the freedom of not having a car-payment, by all means drop some cash on an affordable ride. However, if you know how to manage your money and prefer something new (or nearly new) go a head and take out that loan. Just shop wisely.